Ah, springtime: the season for nerds to naval-gaze — and occasionally wage divisive, self-destructive online wars (causing people outside our community, as well as ourselves, to wonder if perhaps the stereotype of geeks lacking social skills is true) — as we ponder how we're going to fill out our Hugo nomination ballots to recognize the best of last year. The Dinosaur Princess by Victor Milan. A cracking good read. I hope the author left behind enough draft work or notes for someone else to finish the series on his behalf. All Those Explosions Were Someone Else's Fault by James Alan Gardner. Fast-reading and fun, this book should probably also get a special award for its title. Mormama by Kit Reed. A smart dissection of family relationships and the weight of history. Tyrant's Throne by Sebastien de Castell. A good fantasy swashbuckler and fine end to the Greatcoats series. Laugh at me if you want (and many do) but the damn thing even made me cry a little at the end. New York 2140 by Kim Stanley Robinson. A snappy tale of life after climate change in The City That Never Sleeps — and, in this book, never quite dries out. The Greatcoats series by Sebastien de Castell (with Tyrant's Throne published in 2017). Great action and a lot of heart in these books. The Wild Cards series, edited by George RR Martin and Melinda Snodgrass (with Mississippi Roll published in 2017). After more than 20 years, these superhero mosaic books are still, well, super! The Dinosaur Lords by Victor Milan (with The Dinosaur Princess published in 2017). This series has been a hell of a lot of fun and it's sad that Milan has passed before it could be finished. Everyone: Worlds Without Walls, edited by Tony C Smith. 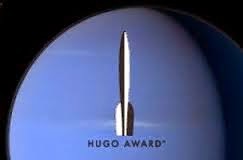 While the Hugo notes on nominee eligibility state that "...fiction anthologies generally are not [eligible] because all of the individual works within the anthology are eligible in one of the 'story' categories. ", my nomination of this book hinges on the word "generally" because regardless of the quality of the short stories it contains (and many are quite good) the overall book itself, which is (again to quote from the Hugo eligibility notes) "...noteworthy primarily for aspects other than the fictional text..." And this anthology is noteworthy for what it is trying to do: showcase talent from cultures and points of view from around the world, to remind the speculative fiction community that in a time when narrow-minded political, social and economic forces are trying to drive people apart and erect psychological — and physical! — walls between us, the sf community is wonderful because it embraces a universe of different experiences and points of view. The fact that this anthology introduces readers to sf from cultural perspectives they might not have encountered before, and that in doing so it is trying to be an agent of change to persuade us to be more tolerant and inclusive, makes it the ideal recipient for this award. Ghostbusters 101: Everyone Answers the Call by Eric Burnham, Dan Schoening and Luis Antonio Delgado. A fun adventure uniting the Ghostbusters, the new Ghostbusters of the 2016 reboot, and even an appearance by a member of The Real Ghostbusters cartoon series (really, all this graphic novel needed was a cameo by members of the old The Ghost Busters TV series), with plenty of background Easter eggs. Aliens: Defiance vol. 2 by Brian Wood, Stephen Thompson, Tony Brescini, Eduardo Francisco and Dan Jackson. Gloomy, desperate and smart, this graphic novel is everything the Aliens franchise does well (and which Alien: Covenant failed to do miserably). Blade Runner 2049. Sheer brilliance by itself, and an excellent sequel to the original. The Shape of Water. Smart, heartfelt, and fun. Of course it deserves awards. Logan. This film has set the bar for serious-toned superhero movies. Spider-Man: Homecoming. A damn near perfect example of the traditional, fun superhero movie. The LEGO Batman Movie. Yes, I know, this flick is ultimately and unabashedly a gigantic marketing exercise in selling toys, but for all that, it's highly effective as both a comedy and a superhero movie, and to my mind, the best Batman movie next to 1989's Batman and the animated version of The Dark Knight Returns. "Beyond the Wall", Game of Thrones. Really, how could you not nominate this episode? "Skipper", Red Dwarf. This episode does what the 'Dwarf does best, and brings things full circle so nicely. "Necropolis", Castlevania. I was surprised how much I enjoyed this series, and what makes this episode so perfect is the way Richard Armitage's character (deliberately played this way) mumbles and grumbles his way through adventure (while occasionally getting kicked in the nards), contrary to the usual style of fantasy heroes, and still manages to be a total badass. "Bride of Frankenstein", The Frankenstein Chronicles. Another surprise for me in terms of how much I liked this series. It owes as much (or more) to From Hell as it does to Frankenstein, Sean Bean does a fantastic job in his role as a police inspector prying into some strange murders, and this episode in particular was gripping and heart-felt. So that's my two bits. If you attended last year's Worldcon, or you're going this year, or, like me, you've purchased your membership for Dublin next year, be sure to get your Hugo, etc. nominations in. There's a lot of good stuff out there, and we should all be able to have a say in recognizing some of the best.